Ace is proud to offer one of the largest and fastest growing shows in the country. We think you’ll be delighted by all that Atlanta has to offer, as well as wowed by everything that awaits you March 16-18 at the Ace 2017 Spring Convention & Exhibits. With all of the exhibits, program displays, product demonstrations, new items to check out and show-only deals, why would you even consider attending any other show? Join thousands of your fellow Ace retailers to preview the goods of more than 1,200 exhibitors. There will be opportunities around every corner at the show and it’s time to get prepared. One of the primary reasons for attending any show is, of course, for the savings you’ll experience. You’ll find everything you’ve come to expect and love, from Power Buys and the Savings Showcase to New Arrivals. The Discovery Edge area is always a big hit and in Chicago, it was the No. 1 visited booth, according to survey results. In 2017, it returns bigger and better than before! The one-stop shopping experience for Discovery Edge programs continues with more than 40 in-demand Level 1 and 2 programs. Each program comes with great incentives that will save you big money. Register now for your Ace 2017 Spring Convention & Exhibits badge(s) and to sign up for Ace After Hours featuring Darius Rucker. You also can call 888-408-6742 for assistance. The pre-registration deadline to get badges and event tickets in the mail is February 10. 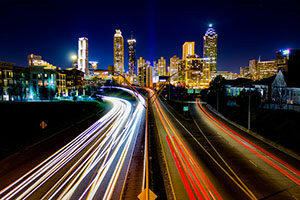 Discover Atlanta and receive an early welcome from Mayor Kasim Reed.